We Can Take Care of Your Septic Tank Installation Needs in Lakeland, Winter Haven, Auburndale, Bartow, Mulberry, and Polk City, FL. 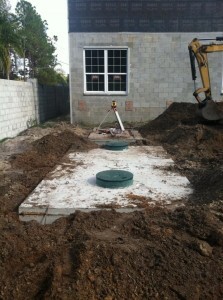 Lakeland Septic Tank Installation – Southeastern Septic LLC is a great resource for all of your septic tank needs in the Central Florida area, including Auburndale, Winter Haven, Lakeland & Bartow. If you are in the market for a new septic system, be sure to check out the HOOT Septic System, for which our technicians are fully trained in the septic tank installation process. This system completes all five stages of the septic waste elimination process, but compacts into just one simple piece of equipment, reducing the likelihood for serious problems that require septic tank repair or replacement down the road. The first step is when the waste enters the pretreatment tank, where the system pumps air into waste to separate it into layers. Clear water rises, is chlorinated, and passes to the holding tank. Once full, this tank uses a pump to push the disinfected liquid out of the tank and into the ground via buried pipes. The septic system also has a control panel that monitors and controls every function to make sure it’s working correctly. In order to determine if your property is a good candidate for this type of septic tank installation, call our office to set up a consultation. 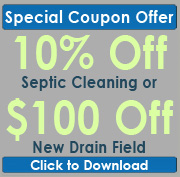 Southeastern Septic LLC is located in Lakeland, Florida. Our owner, Shane Ray, has more than a decade of experience in septic tank installation services, and focuses his business on customer service to make sure every client is satisfied. We offer septic tank installation, as well as routine maintenance and repair of existing septic systems. Southeastern Septic prides itself on offering the most reliable septic tank installation services in all of Auburndale, Bartow, Lakeland, Mulberry, Polk City, Zephyrhills, Winter Haven, Plant City, and Polk County.